Statistics show that air conditioning systems consume a considerable percentage of total power people use annually. Well, it is quite evident that staying at home with the hot temperatures during the summer or the cold winter days can be very uncomfortable and this us why most households consider an air conditioner as a priority rather than an option. Most people do not understand the way these systems work since they just buy them and get an expert to install and repair it till it goes past its useful life, and then they start planning on investing in a new system. One critical part of your air conditioning unit is the refrigerant which helps to cool the air in your home. It is chemical that is circulated by the compressor and helps to absorb the hot air leaving your place fresh cool. If you have owned an air conditioner or any other cooling unit such as a refrigerator for a long time, you must have done a refrigerant recharge on it. Over the last forty years, the r22 refrigerant has been the most prevalent option for cooling units and this is owed to the advantages that were established before it was adopted as the best choice. However, the effect of this refrigerant over the years prompted some action from the authorities owing to how it affected the environment, particularly the ozone layer. The primary role of the ozone layer is to protect us from the harmful UV radiations and the r22 refrigerant has greatly depleted it. The timeline for the phase-out of r22 freon refrigerant comes to a conclusion in 2020 where you won’t be able to get it from anywhere. As at the first day of 2020, the supply and import of r22 freon will be banned, and no credible dealer will want to take that risk. If you still have a system that uses this refrigerant, it is prudent to start looking at your other options. You might choose to stick to your system but you need to use it with your fingers crossed that it won’t require a refrigerant recharge anytime soon since you won’t get it done the way you usually do. Such a scenario is one which might potentially leave you without an air conditioning system since most systems cannot work well once the refrigerant goes beyond the optimal level. One can argue that if the r22 freon is not friendly to the environment, they could just find another type of coolant and continue with life as usual. Well, this is not possible since the coolants are not just like any other liquid that you come across with. These substances have unique chemical properties and shifting one for another cannot be done directly. Well, there are refrigerants whose characteristics are almost similar but the one being phased out has no close counterpart and systems that are built to suit it cannot work with other coolants. This is one harsh truth that may imply that your system might be useless after 2020. One of the most favorable options for people with systems that are based on r22 freon refrigerant is to retrofit their current ones to make them suitable to other coolants that are allowed. Well, this is a great option but it can work or might not work. Retrofitting is essentially the changing of the structure of an air conditioning system to make it suitable for other coolants. It has been seen as perfect for business organization that have very massive air conditioning systems. If you look at such, you can realize that the cost of investing in a new one might be quite high and it might be better to just change the structure of the current one, something that will cost less. Most big systems have parts that are big enough to be replaced and they have provisions for this kind of flexibility as opposed to the small ones we use at home. It might be impossible to retrofit your home system and if that is established you can’t consider this as an option for you. You might still have sometime before the r22 coolant is wholly phased out but note that the cost of buying it is rising with each passing day. As of 2010, the supply of this coolant was restricted in discrete percentages, and as at now, you might be forced to pay exorbitantly for your regular refill. Do not expect this to change any time soon and it could even go to five times what it is currently in the coming year. This raises the question of whether it is economically viable to stick to that system because the production of r22 based systems was also banned many years ago and your unit must be old enough for you to get a new one. This is one of the saddest truth that you might have to face. However, this does not apply to everyone but only to those who own systems that are based on r22 refrigerant. The positive thing about this is that most systems that are based on r22 must be almost ten years old and this is the optimal useful life for most air conditioners. It is easier to switch to a new one that will offer you better performance and use a refrigerant that is good for the environment. 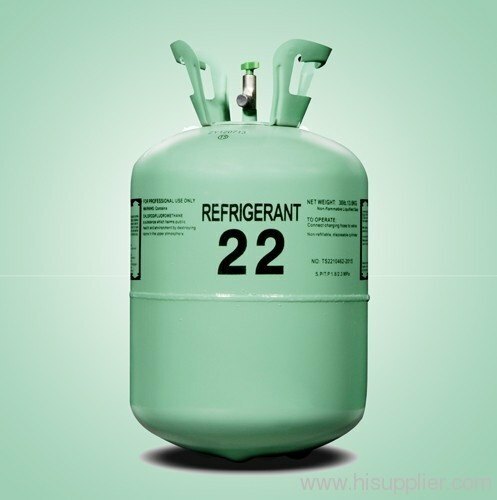 Some of the things that you will have to face as a result of the ban on r22 refrigerant have been highlighted, and you should select the best option that suits your current situation. Tired of baking in the summer heat while trying to sleep? Copyright 2018 Homes Renovation Idea | Theme: InnerBlog by icyNETS.